So why is it so difficult to transmit such a truth? I have been at it half a life-time (since 1974 to be precise) and still have not got it through. Thank God for internet, it may give me half a chance. The answer to my question is - because many others think it is their territory and I, a mere sculptor, should not trespass. There is the other complication that what I have seen makes them (the many) look rather foolish for not having seen that truth for themselves. Furthermore that blindness goes back several generations. I will be aiming at three individuals who made up a team of “experts” in charge of the main collections of Rembrandt’s drawings at The British museum, The Rijksmuseum and the Boymans in Rotterdam. They have produced three new catalogues of their collections which follow the fashion set by The Rembrandt Reseach Project (RRP) of reducing that great master’s corpus by de-attribution, to a mere shadow of it’s former self. The master’s reputation has naturally followed. I am in the process of writing a commentary on all the drawings I believe to be by Rembrandt and a few which the “many” favour but I do not. I expect the number of Rembrandts in my commentary to be at least twice as large as a catalogue any of these three might be writing (God forbid). The emphasis in my commentary will be on Humanism and what Fry called “significant form” a term which was the rage while Fry was around but now out of fashion. I call it “visual syntax” by analogy with literary criticism. 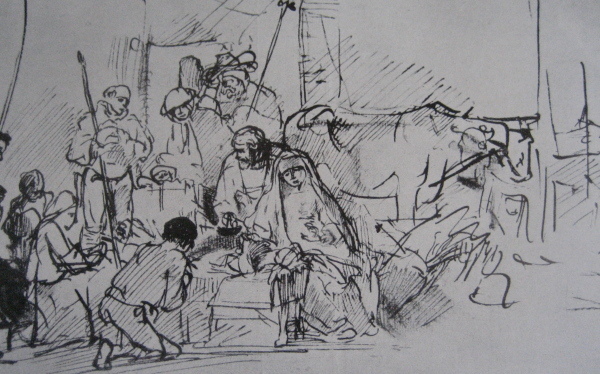 Today’s “experts” seem hardly aware of syntax yet no real understanding of Rembrandt’s drawings is possible without it. He has a syntax all his own which I will be at pains to make clear in these pages. Very fortunately computer technology has made possible an explanation that was not available to Fry. Some may well still be guessing what he was on about. The team of Rembrandt experts I am sure are all very cultured in the sense of being well read, knowledgeable about music, poetry and above all about the literature produced by their fellow art historians. But of what we can term visual culture, that is the culture of artists, I do not detect a smattering, scarcely a vestige. No doubt all have been through the Art Historical mill at smart universities and most probably come out near the top of their year because they have thoroughly adsorbed what their professors had to offer, and there lies the trouble. They come through the mill blinkered by the accumulated prejudices of their predecessors. Unable to see for themselves, they chew over and add to the accumulation of half truths. 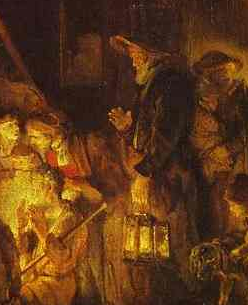 Rembrandt studies are a vicious spiral that has been spiraling downwards for over 100 years. It must be stopped. No new knowledge is allowed to enter this closed circuit. This particular artist has been banging at their door for half a life-time and has been roundly snubbed and occasionally robbed of his insights. 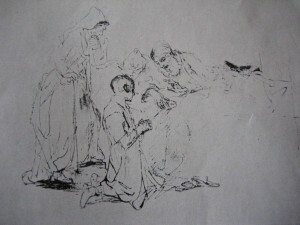 What I have discovered about Rembrandt’s practice would become established fact immediately in scientific circles because of the weight of evidence (see www.saveRembrandt.org.uk). 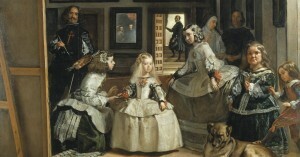 Yet it has hardly penetrated the mentality of Art History beyond the above mentioned thefts. My evidence has been most unsatisfactorily rebutted in The British Museum catalog. 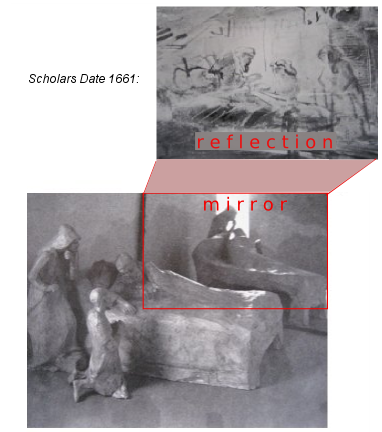 Unsatisfactory because there is no mention of the fact that Rembrandt’s use of mirrors has been noted in nearly 100 cases, which statistically must make it a dead cert. Furthermore, Max Wykes-Joyce wrote of my exhibition at Imperial College (The International Herald Tribune 27.1.76 ) …with the use of maquettes, photographs, mirrors and a text, illustrates what Konstam believes to have been the working methods of Rembrandt, Poussin and others, and which by implication, contradict much of 20th century criticism and scholarship. 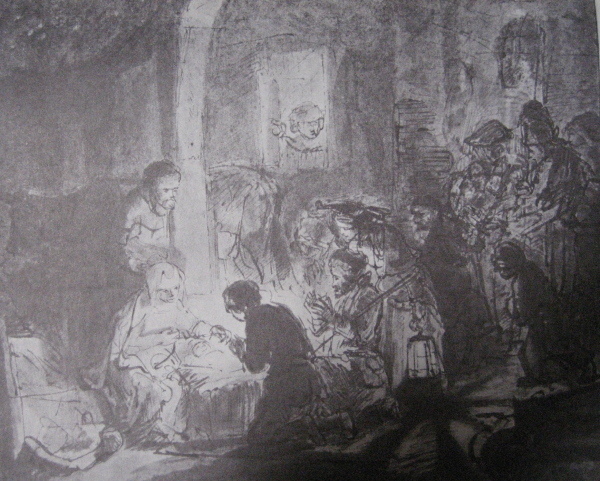 Certainly as a working artist the case he makes for the re-dating and reconsideration of many of Rembrandt’s drawings is strong.” And later…”certainly the exhibition is a seminal one that should not be lightly dismissed.” The Observer headlined a quarter page article “The Rembrandt Revelation”. Two very eminent art historians (Gombrich and Montagu) assisted me in writing the text that was published in The Burlington (Feb ‘77). 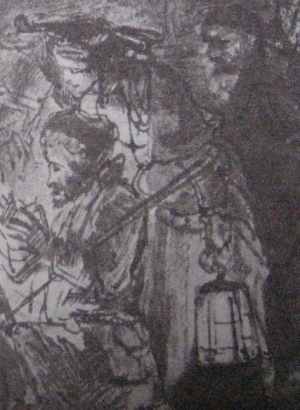 The editor (B. Nicholson) wrote in his letter of thanks “ I find the evidence you have accumulated of the greatest possible interest, and so I am sure will Rembrandt scholars, who must now get down to revising the corpus of drawings!” A similar text was published in Dutch (Rembrandthuiskroniek 1978.1) And yet I believe since this auspicious beginning the whole idea has been brushed under the carpet without discussion. I WOULD BE VERY GLAD TO HEAR FROM ANYONE WHO HAS STUDIED REMBRANDT AT UNIVERSITY LEVEL, WHETHER THIS IS SO. I named my Art School in Tuscany Italy after the famous ‘School of Verrocchio’ because of my great admiration for the Renaissance Sculptor Andrea Verrocchio who ran the greatest Art school ever known (attended by Leonardo da Vinci, Perugino, Lorenzo di Credi, Domenico Ghirlandaio). Adolf Beyersdorfer in 1876 wrote of Andrea Verrocchio: “Next to his pupil Leonardo, his (Verrocchio’s) is the greatest artistic character that has ever existed. The lofty and strict principles of his studio brought back worth and value to Florentine Art at a time when these qualities were on the point of extinction”.